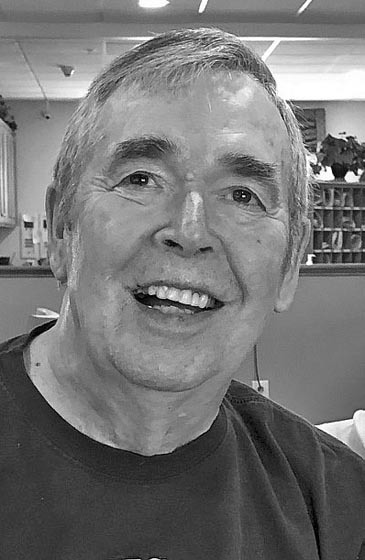 ISHPEMING, MI – John Norman Pontti, 82, went home to be with his Lord and Savior on Thursday evening, February 7, 2019 at Mill Creek Assisted Living, Marquette where he had resided since May 2017 while under the loving care of his family, the staff at Mill Creek and Upper Peninsula Home Health and Hospice. John was born December 3, 1936 in Negaunee, MI to the late Val and June (Silas) Pontti. He was a graduate of Ishpeming High School, Class of 1954 where he was a member of the track and basketball teams and trained as a Nordic combined ski competitor. John furthered his education, track and downhill skiing interests at Northern Michigan University, receiving a bachelor’s degree in 1958 and later a master’s degree in Special Education. John worked as a teacher of art and history along with special education in the Ishpeming School District. He also coached the high school’s first boys and girls ski team. John was influential in the Ishpeming-Negaunee-NICE Community Schools Education Program, taking on the director’s position in the NICE Community School District at its inception. Later, John served as principal at the North Lake, Diorite and West Ishpeming Elementary Schools. John was devoted to community education programs throughout his career and students with special needs. John is survived by his wife, Marilyn (Sundberg) Pontti of Ishpeming whom he married on Dec. 28, 1960, 2 sons-Mark (Peggy) Pontti, of Iron Mountain; Todd Pontti, of Monterey, CA; daughter- Jill (David) Simula, of El Dorado Hills, CA; grandchildren- Meredith (Nate) Johnson, Alyssa & Emma Pontti, Jordan & Noah Simula, four sisters- Carol Waters, of Marquette; Connie (Errol) Moffatt of Lutz, FL; Lynn (Fred) Whaley of Portland, OR; Sue (Grant) Foster of Camdenton, MO; three brothers-Michael (Diana) Pontti of Fairfax, VA; Greg (Eileen) Pontti of Waialua, HI; Robert (Carol) Selfridge of Zephyrhills, FL. He is also survived by sister-in-law Joan Sundberg of Little Canada, MN; brother-in-law Paul Sundberg of Longmont, CO; numerous nieces and nephews, several cousins and many special friends. John was a member of Bethany Lutheran Church of Ishpeming serving in many leadership capacities. He was also active in Big Brothers Big Sisters, serving as a Big Brother and mentor for many years. John served as the Ishpeming Teachers Association first president and was a past president of the Kiwanis Club. He worked with art community leaders in setting up the inaugural Art on the Rocks, and helped coordinate the Marquette Co. Harvest Festivals. John was a leader in the rebirth of the Vista Theater through the Peninsula Arts Appreciation Council (PAAC), and volunteered with transportation during 1996 FinnFest USA. John had a passion for skiing and sharing its history with others. He was actively involved in developing and maintaining the original US National Ski Hall of Fame in Ishpeming. In more recent years, John was instrumental in creating new displays, organization methods and generating publicity, later serving as a president of the Hall of Fame. In 2000, he co-authored the book Midwest Skiing: A Glance Back. The family would like to thank the staff at Mill Creek for their loving, attentive care while John was a resident. There are many others who contributed to his care and happiness over the years. Our deepest thanks to all of you. John’s obituary may also be viewed at bjorkandzhulkie.com where relatives and friends may leave a note of remembrance.